If you enjoy reading our blog, check out the other places where we hang out online! 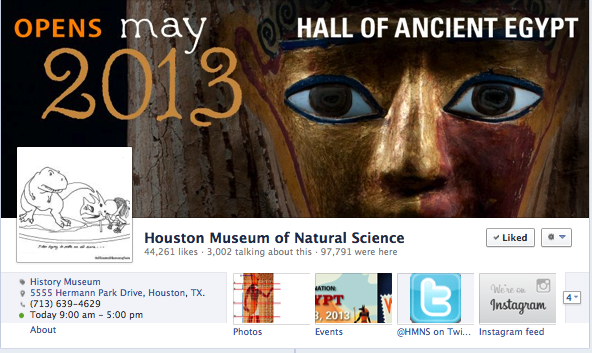 If you’re a fan of HMNS in real life, why not share the love on Facebook? As a fan of the museum, you’ll have access to special ticket offers, contests, behind-the-scenes video, photos, event notifications and more. 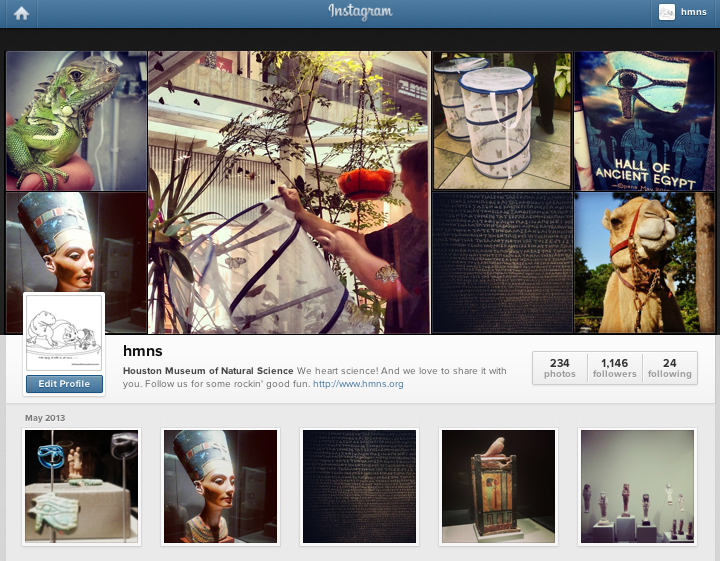 Follow @hmns on Twitter and be the first to know about museum news, events, exhibitions, contests and more – in 140 characters or less. One of the best things about science is how visual it can be. 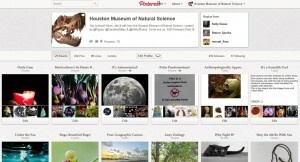 Enter Pinterest, the ultimate photo sharing community. 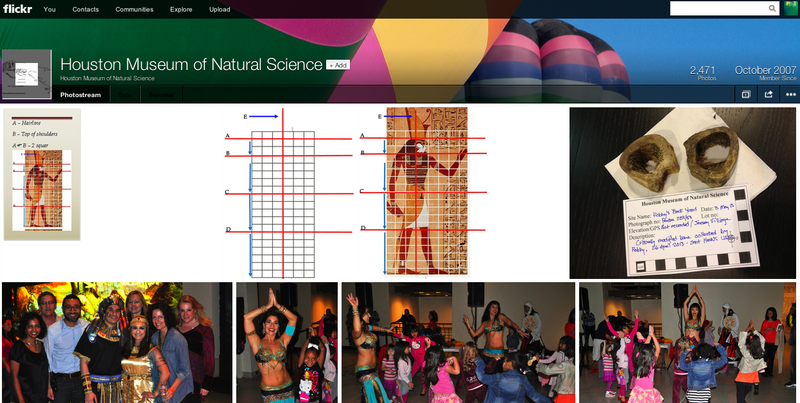 If it’s science-related and it’s on the web, we’ll find it — and we’ll share it with you. Sneak peeks, behind-the-scenes, rare footage — when you want the inside scoop, you’ll get it on Instagram. It’s the view you’ve always wanted but can’t normally see, and we’re bringing it straight to your iPhone or Android with the Instagram app. There are some amazing photographers that wander HMNS’ halls. If you’re one of them, post your pics of the museum in our group pool, or peruse the ones we’ve taken to show you. We guarantee they’ll make you see the natural world in an entirely new light. 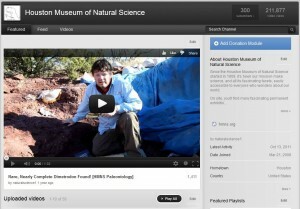 Visit our channel on YouTube for behind the scenes video of upcoming exhibits, interviews with our curators and other notable scientists as well as an insider look into the world of science. The fun doesn’t stop at our Hermann Park location — or on our main Facebook page. 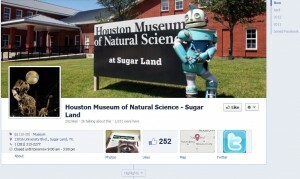 HMNS Sugar Land is full of scientific adventures as well, and they’re getting social! Who says all the fun has to be in the Loop? You owe it to yourself to get out of town and see stars every now and then. 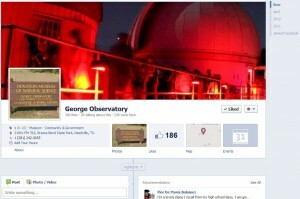 The HMNS George Observatory, located in beautiful Brazos Bend State Park, keeps its head in the clouds while you tune in on Facebook. 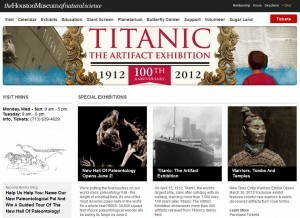 This is the official home of the museum online. Check back frequently for information about exhibits, Giant Screen movies, Planetarium shows, adult education lectures, tickets, and showtimes. Or, learn how you can “donate your body to science” at the museum, check out our calendar of events or sign up for the e-newsletter, and much more. OK, you’ve already found this one. But did you know you can subscribe? Or comment on posts? Or get our entomologists to identify that creepy insect that’s been crawling through your yard? Or post your opinion in a poll? There are tons of ways to interact with the blog!